Florida is growing fast. AOB lawsuits are growing faster. The state is already the third-largest in the union and recent research from the Florida Chamber of Commerce estimates 1,100 people move to the Sunshine State every day — that’s amounts to 5 million new residents by 2030. But another statewide metric is accelerating faster: assignment of benefits lawsuits. “While Florida is a growth state, AOB lawsuits are growing much faster than population, going from little more than a few hundredths of a point as a fraction of Florida’s population to nearly a full three-quarters of a percent now,” said Capital City Consulting lobbyist and FJRI counsel Ashley Kalifeh. AOB is a process where policyholders sign over their insurance benefits for a quick repair after their property — be it a home, car windshield or something else — is damaged. The contractor or attorney who receives those benefits often attempts to collect a payout from insurers in court. AOB reform advocates say those lawsuits lead to inflated payouts which in turn drive the cost of insurance premiums for all Floridians. 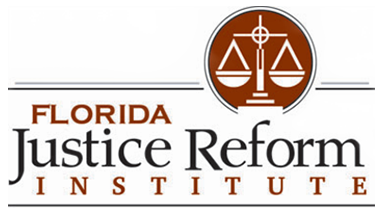 According to the Florida Justice Reform Institute, AOB lawsuits made up more than half of all lawsuits filed in Florida in 2018 — the eighth year in a row they’ve held the majority. Additionally, the quantity seen 18 percent growth year-over-year. A report produced by Kalifeh shows AOB suits increased by over 900 percent between 2008 and 2018. Total lawsuits increased by a little over 400 percent during the same stretch. The report also found that about 85 percent of those suits were filed by nine law firms. Just one attorney — Gregory Gudin of Landau & Associates — filed more than 30,000 AOB lawsuits last year. Most of those suits were filed in a handful of counties, too. Miami-Dade and Broward accounted for nearly half of property AOB suits, while Hillsborough County alone was home to more than 50 percent of auto glass AOB suits. FJRI supports measures moving through the House and Senate that would make changes to AOB rules. Among those reforms is an end to one-way attorney’s fees in AOB cases. Currently, the losing side of an AOB case has to cover the attorney’s fees for the prevailing party. Opponents of the reforms say AOB suits would slow down if insurance companies green lit repairs faster and used higher quality contractors, especially in the case of water damage.